If your kitchen has a large number of shelves, reaching up to great heights, then you would certainly need a kitchen ladder. Without a ladder, you will have to jump frequently to reach for items at the top shelves. That would be quite annoying certainly. In doing so, you may also get hurt by other items falling from the top. Keeping this in mind, a ladder becomes a crucial requirement for your kitchen. Kitchen ladders are available in several styles, to suit all your needs. 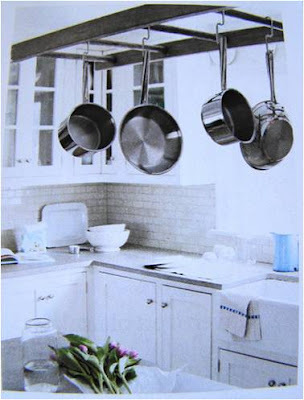 Moreover, nowadays, ladders are being used in a new and innovative way to hold your kitchen stuff. Let have a look at some of the kitchen ladders that offer you convenience of work and add the style element to your kitchen. These ladders can be used to access the high elevation storage areas in your kitchen conveniently. A rail is not needed in such ladders. It consists of a rocker arm, which enables it to get adjusted safely at any angle. This type of ladder is fitted with rollers at the top and bottom to allow it to be rolled easily, instead of being lifted. It does not move while being used, owing to the automated stopping device fitted to it. The moment one steps onto the ladder, this device gets activated. It has a length of about 8 foot with a rail of about 10 foot. You can get the rolling ladder made up of wood too. The woods used are generally cherry, maple and red oak. They come in lengths of eight, nine and 10 foot. The steel hook ladders offer complete security, and consist of steel steps instead of bars. The ladder length is about eight foot, with a rail system of ten foot. Ladders are not only used for reaching heights to access things, but are also being used in a more interesting way, to store things. Ladders can be hung from the ceiling of the kitchen, and used to place things on them, like plants. You can also place baskets on such ceiling ladders. This is an interesting way of increasing storage. You can hang your kitchen utensils to such ceilings. Pans usually do not fit well into any place; hanging the pans is a good way to place them properly. In case you have stuff in your kitchen that you wish to display, you may choose to hang them to the ladder. Another way of using ladders is by using its steps as shelves. If the ladders’ shelves are wide enough, you can store cups, dishes and other stuff on the ladder. A kitchen needs to have some cookbooks. And if you can store those cookbooks in your kitchen itself, it would be great. You can use a step ladder to place the cookbooks on them. Thus, ladders help you to work more conveniently in your kitchen. These are several types of ladders available that suit to your specific needs. Description: Having a ladder in your kitchen makes working quite convenient for you. You can also use ladders to store utensils, baskets and other stuff of your kitchen. Author’s Bio: Mary James is a well known author who writes articles on stair nosing and related topics. In this article she has written about ladder.